Each time you create a new Level, Revit will automatically create a new Floor Plan AND Ceiling Plan View, that is associated with that Level. So let’s get onto the actual Ceiling Elements themselves. 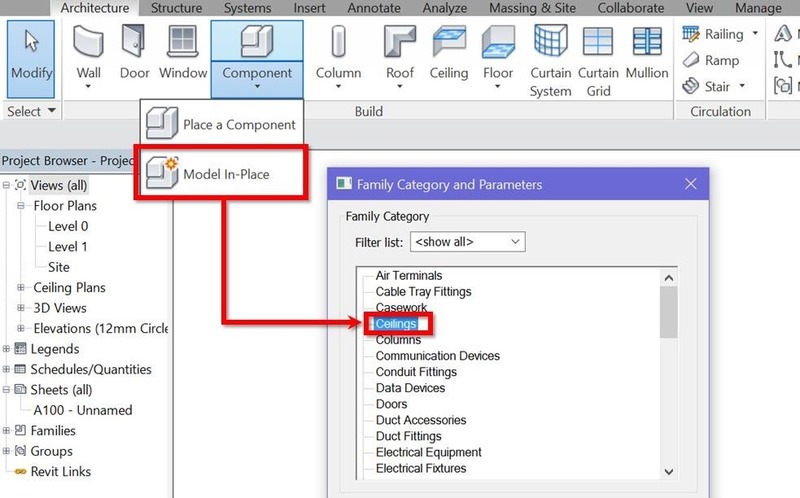 There are several solutions for showing beams “from above” in Revit floor plan views, each of them having their pros and cons: Underlay – Use “Underlay” instance property of the view, and set it to “Reflected Ceiling Plan” of the current Level (to “Look Up”).